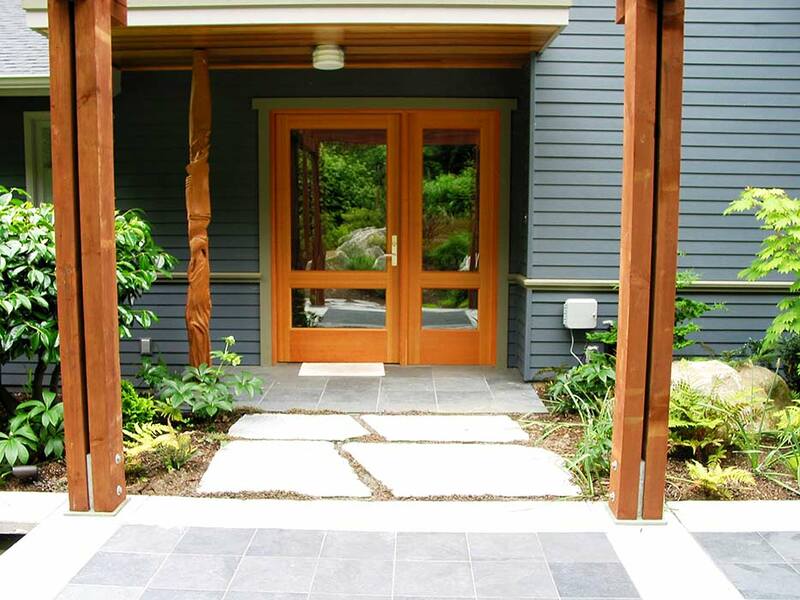 Daniel is owner and the lead designer at Queen Anne Gardens LLC, a design/build firm in Seattle, WA. He studied Ornamental Horticulture at Michigan State University and Landscape Architectural Technology at Lansing Community College. 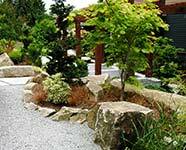 While practicing landscape design at a nursery in Mt. Clemens MI, he was occasionally called to help unload semis of hardy shrubs coming in from Oregon. 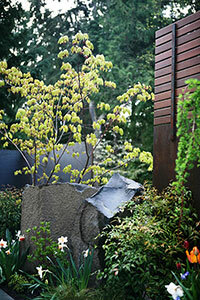 That experience led to a visit to the Pacific Northwest in 1981 where he felt immediately at home. Living on Queen Anne Hill for most of his Seattle tenure, he finds working in the city, especially Queen Anne/Magnolia/Capitol Hill neighborhoods most pleasant. 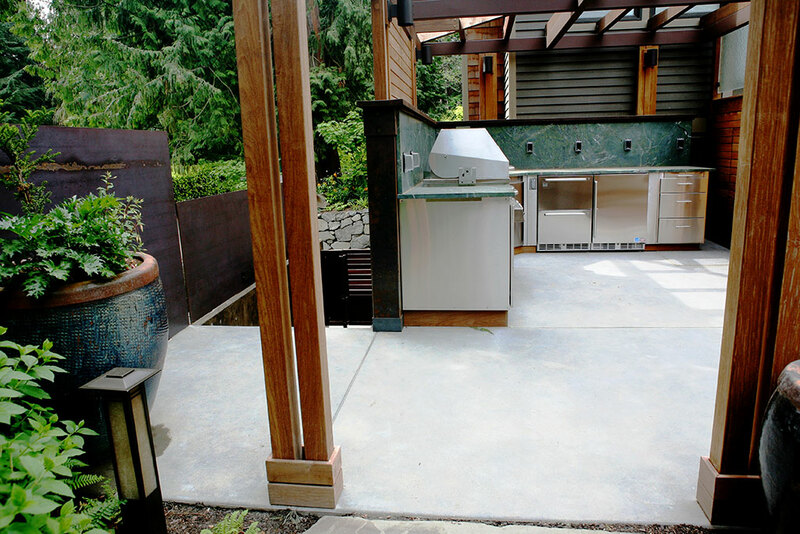 Personal referrals have supplied design and construction adventures on most of the islands in Puget Sound as well. 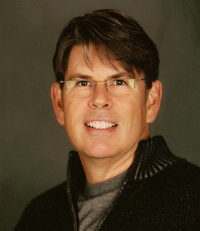 He is a founding member of the WA Chapter of APLD, established in 2001. 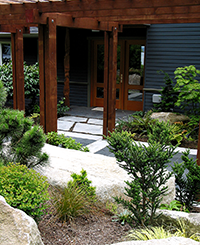 Daniel has served the state chapter as Secretary, Treasurer and President over several years/terms and has supported the building and design of APLDWA display gardens at the Northwest Flower & Garden Show. He also served at the national level of APLD as Communications Chair for seven years. The site is a shelf between two sharply dramatic slopes: one sternly overlooking the property, the second falling sharply away. 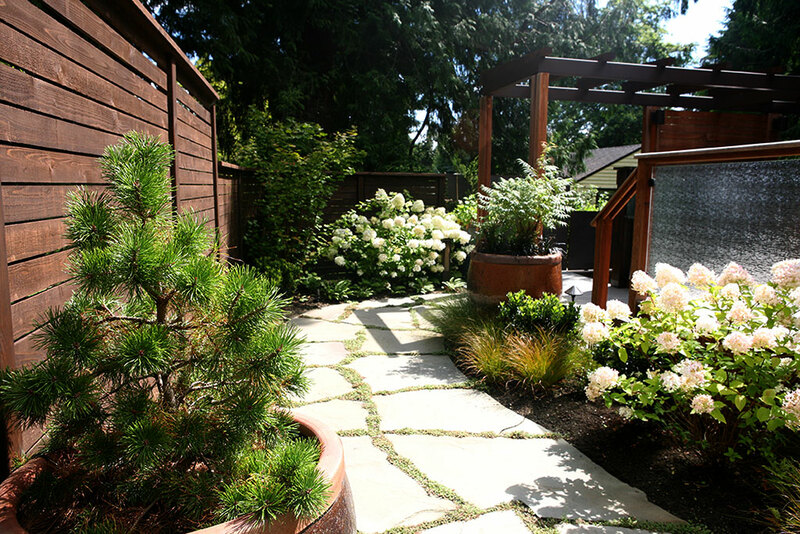 Collaborating with the property owner and designers at Heliotrope Architects, complete re-envisioning of the house led to a totally new street-side garden. 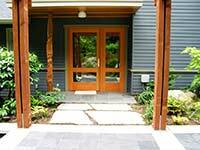 Features include an entry corridor with arbor, slate tile walkway and fountain. 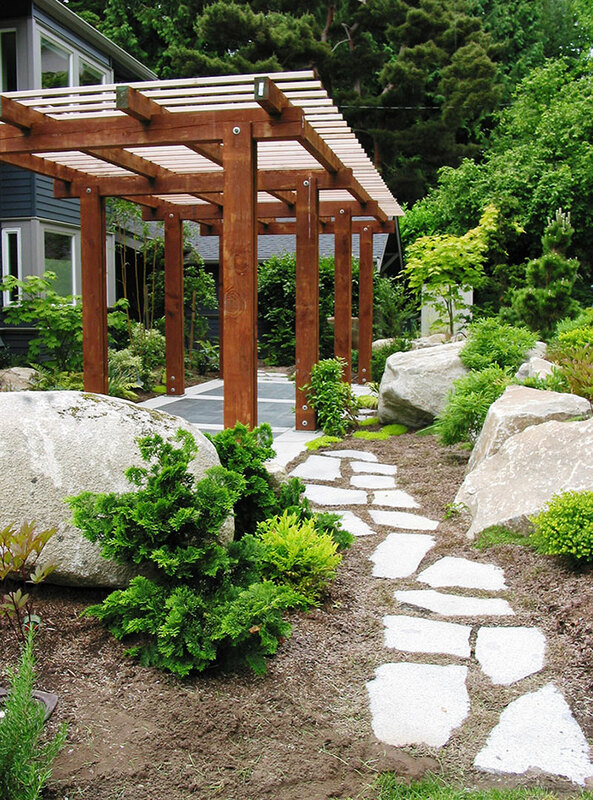 Granite is found extensively throughout the garden: in boulders [the largest one weighing 11 tons], dimensional material for steps, slabs for paths and crushed granite gravel for the driveway. 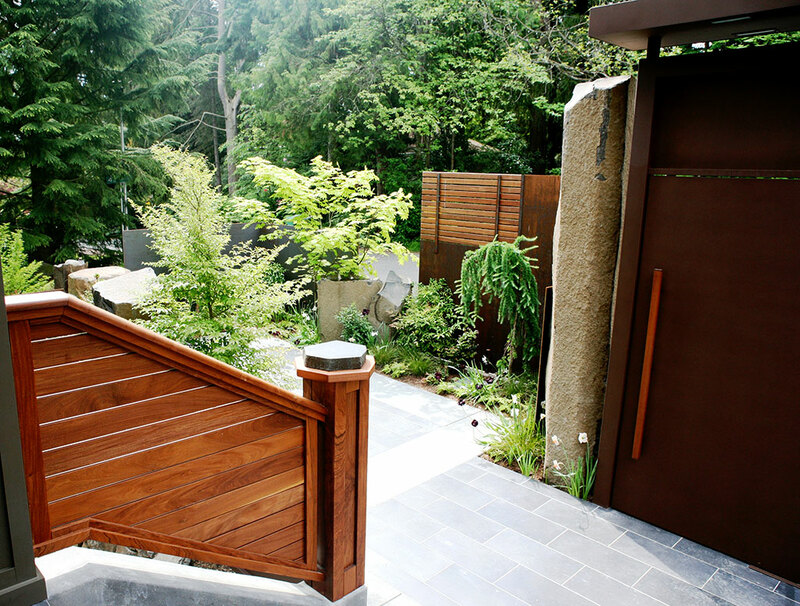 The solid and heavy garden serves as a visual and psychological anchor and protection for the house and family on this slope. Favorite plant experiments in this garden were: Pinus thunbergiana 'Thunderhead', Taxus baccata 'Amersfoort' and Eucryphia x nymansensis 'Mt. Usher'. Set among scores of similar trees on nearby lots, the area is shaded and cool and feels like a mature forest. Our design, colors and materials integrate the new house and garden into the setting of the mature Western Red Cedars. Features include: secure boundary of granite columns and 5/8” inch steel walls, new access stairs to main entrances, Villeroy & Boch ceramic tile terrace, Pennsylvannia Bluestone paths, Ipe deck, outdoor kitchen with Kalamazoo Kitchen appliances covered with a glass roof, rockeries, plantings, large scale pots, low voltage lighting and irrigation. 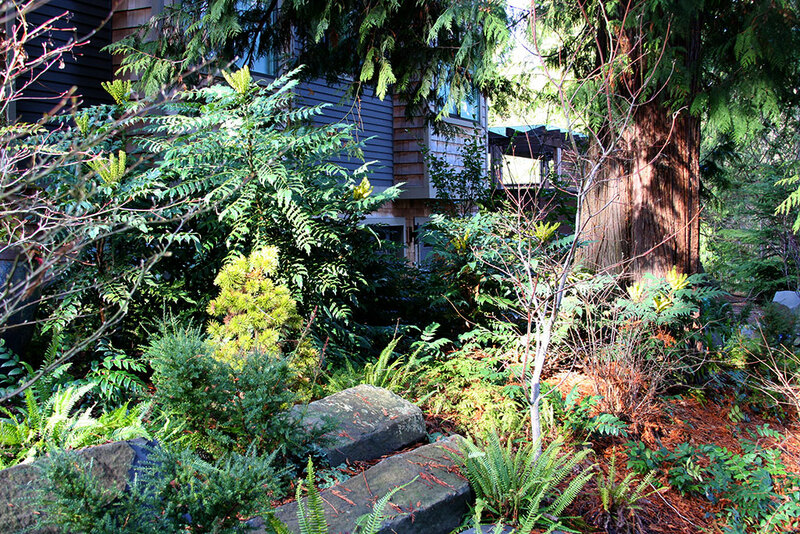 The plants are largely native or match the microclimate of the site and include members of the families: mahonia, hemlock, vine maple, Japanese maple, ferns, helebore. My "plant experiments" include: Cornus alba 'Hessei', Podocarpus alpinus 'Red Tip'and Pinus contorta 'Chief Joseph'. 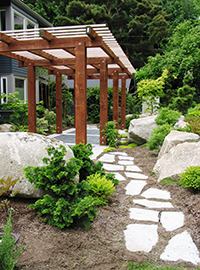 Learn more about Daniel Lowery’s design firm Queen Anne Gardens, that serves the Seattle area with landscape design, project management and construction. 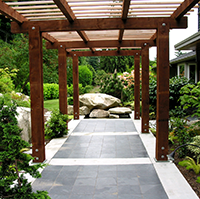 Queen Anne Gardens provides design, installation and care of outdoor spaces. 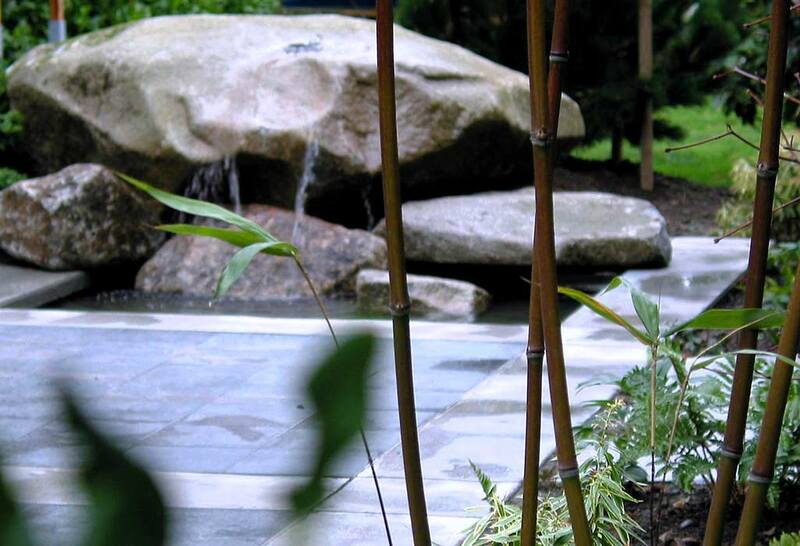 To learn more about Daniel and the company visit www.queenannegardens.com and follow Queen Anne Gardens on Facebook. 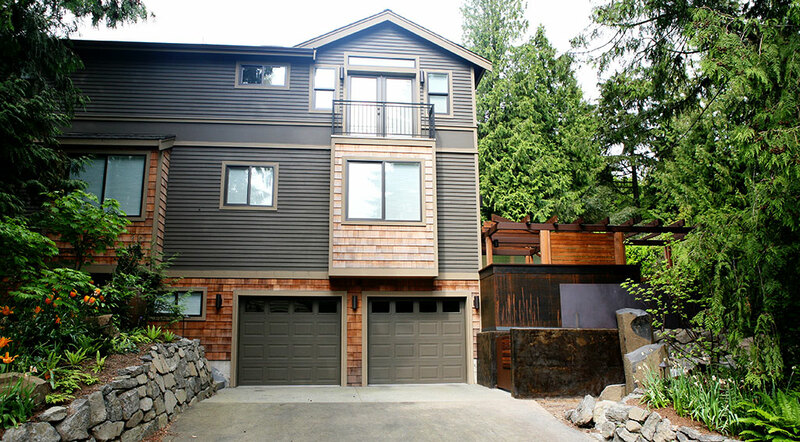 Daniel can be reached at daniel@queenannegardens.com or at (206)285-6770.